Thanks for requesting our “The Trails At Cranberry Springs” investment brochure. 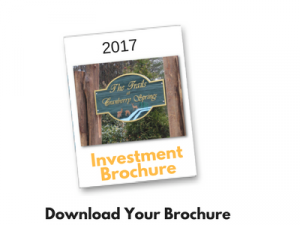 This brochure is meant to be a quick read and a service to our website visitors to help educate you on today’s investment opportunities in the North Carolina mountains. If after reading this report you feel that you want to learn even more… you can call us at (954) 648 4619.